Former party leaders Ed Miliband and Iain Duncan Smith are to stand in as guest presenters of the Jeremy Vine Show on BBC Radio 2. Doncaster North MP Miliband, who led Labour between 2010 and 2015, will front the programme - which attracts a weekly audience of 7.07m - for the week commencing June 19th. Duncan Smith, who was Conservative Party leader between 2001 and 2003, will take over the following week. 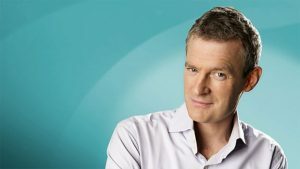 Phil Jones, editor of the Jeremy Vine Show, added: “This follows a tradition of Radio 2’s popular current affairs show, being occasionally guest-presented by prominent politicians which began with figures such as Neil Kinnock and the late Charles Kennedy in the early 1990s."